An ideal mix for germination seeds of tropical plants, specially created for Top Tropicals by soil professionals using our custom formula. It is also great for succulents! 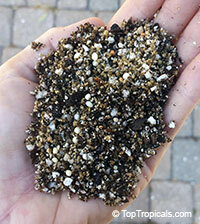 This mix has perfect drainage characteristics and yet retains enough moisture, so very little watering is required. It promotes healthy root development, gives quick anchorage to young roots. The mixture helps retain air and moisture, releasing them as the young starter plant requires them. 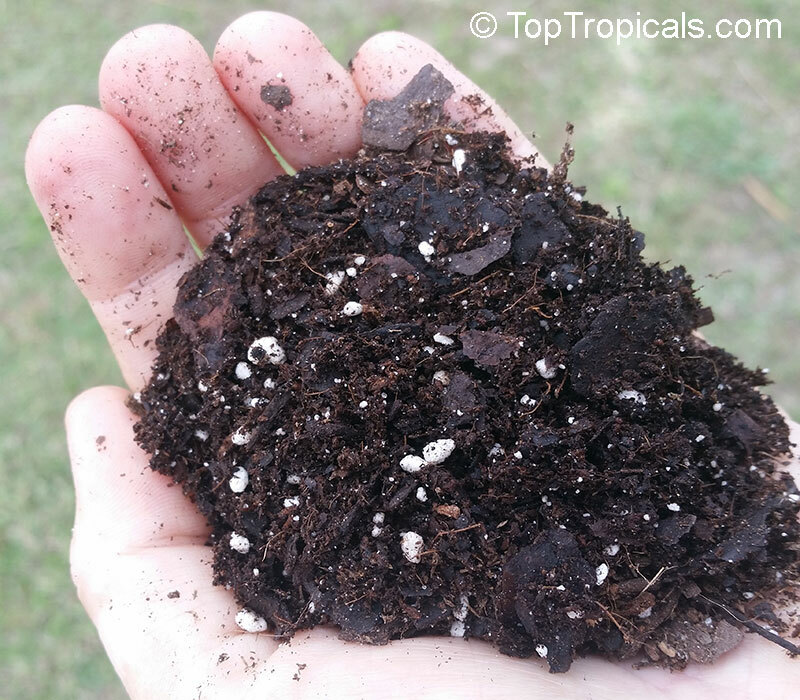 Ingredients: Canadian Peat, Pine bark, Coconut fiber, Perlite, Vermiculite, professional grade slow release Fertilizer with complete micro-elements (provides small seedlings with a healthy start). 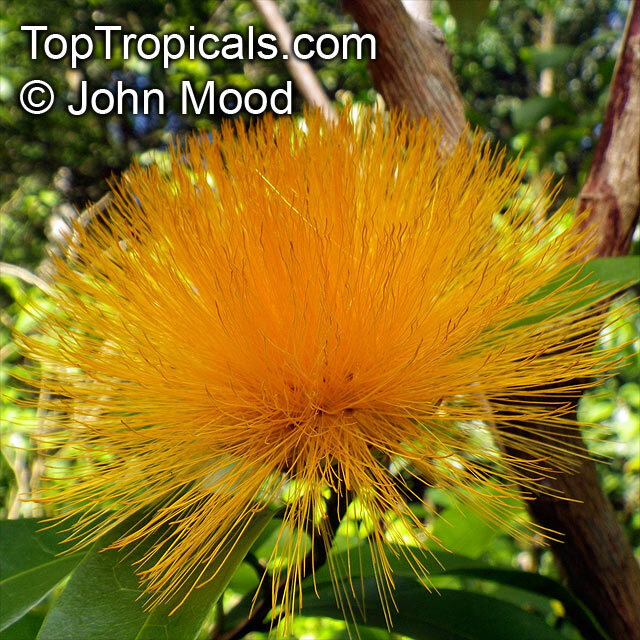 Stifftia chrysantha is an exotic, rare flowering small tree with spectacular flowers, endemic to the vast tropical savanna ecoregion of Brazil called Cerrado. 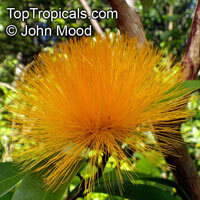 It grows into a bushy, attractive tree between 8 and 15 ft tall and starts flowering within 1.5 - 2.5 years from seed. It is a very rewarding plant that blooms 9 months out of the year, starting in Winter with great intensity during July-September, with each flower staying on the plant for several weeks. Seeds ripen from September through November. The tree belongs to Aster family (Compositae) and has nothing to do with Powderpuffs which are from Bean (Fabaceae) family. The flower has 30 to 40 green, imbricated scales with short hairs, and actinomorphic corollas are orange below and darker above. After flowering, the inflorescence blows apart, which would scatter seeds. The dried center remaining is very attractive, like a small dried flower, and lasts for many months. Stifftia can be grown in full sun to partial shade and is relatively cold tolerant, can take short cold spells. The plant doesn't like wet feet and heavy/soggy soils; requires very well drained, acidic soil. 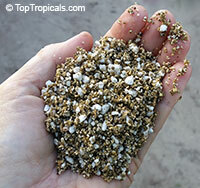 We strongly recommend to use our professional soilless mix. Let soil slightly dry between waterings. It can be grown in full sun to partial shade and is relatively cold tolerant, can take short cold spells. If grown in a pot, try to keep the container shaded because roots don't like to be overheated. The plant needs monthly applications of slow release fertilizer as well as extra iron - use micro-nutrients to keep leaves green and healthy. 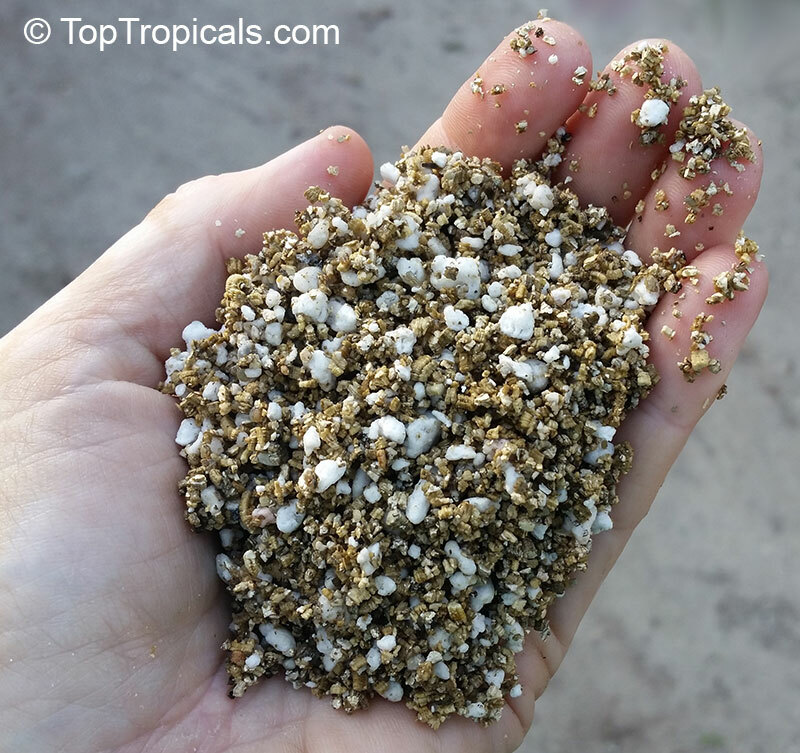 Professional quality (nursery-grade) potting mix with perfect drainage characteristics, specially created for Top Tropicals by soil professionals using our custom formula. 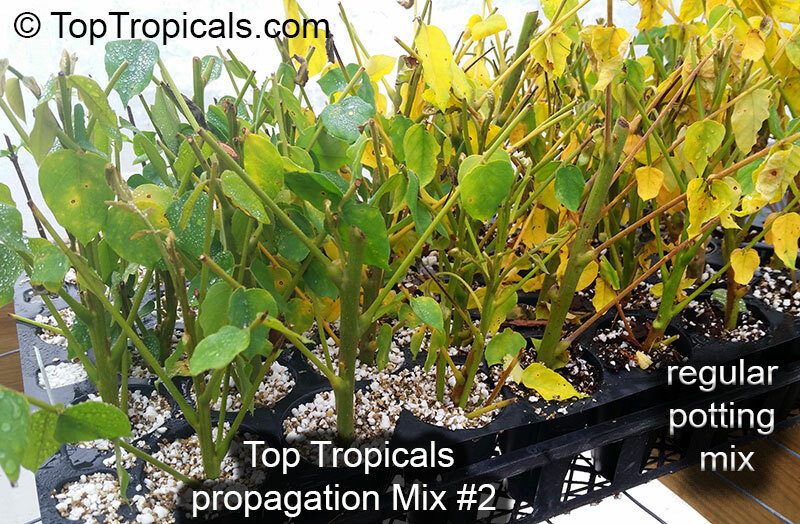 Ideal mix for any tropical plants. 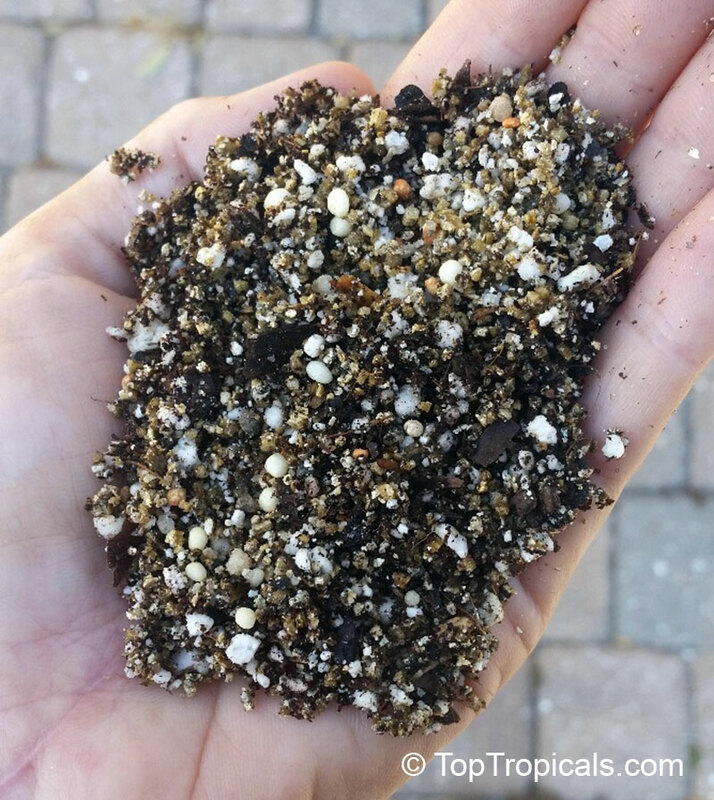 Organically derived soil-less mix free of any additives. Ingredients: peat moss, perlite, pine bark (soil conditioner), wetting agent.